Introducing digital scanning technology to your clinic is much easier than you might think. Increasingly Firefly’s customers are submitting their orthoses prescriptions using 3D digital scans. how is the hardware and software combined? what are digital order forms? how are patient prescriptions submitted to Firefly Orthoses in digital format? At Firefly we accept all file formats created my the major scanning softwares, these include .obj, .scn, .stl and .raw. We recommend combining the iPad and Structure Sensor hardwares with the AMOS TOT data capture and processing software. The AMOS TOT software is specifically designed with podiatrists in mind for the capture of patient foot data to prescribe custom made foot orthoses. For details on how to purchase the Structure Sensor hardware click here. The link will bring you directly to the Structure Sensor website. 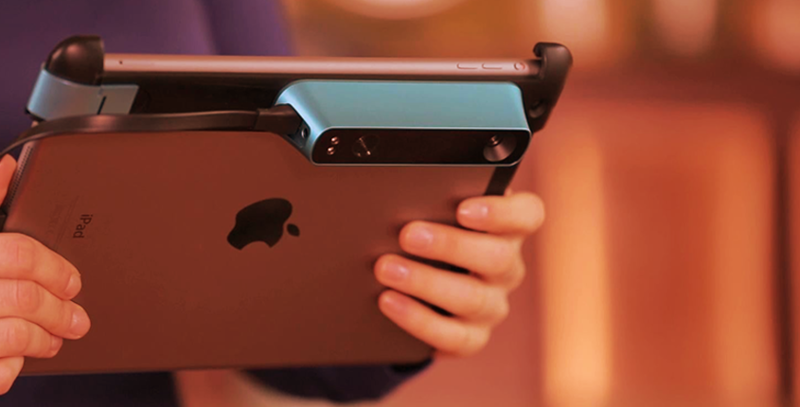 Below you’ll find a detailed step-by-step guides to using the iPad and Structure Sensor scanning technology. Here too we provide a guide to accessing Firefly’s digital order forms and how to complete and submit the forms on your iPad. Digital order forms are similar in layout and design to our hardcopy order forms but can be filled in on a desktop computer or iPad using Adobe Reader software. Ensure the Structure Sensor and iPad are both charged. You will see a box with red/orange color – put the foot/cast inside this box. Please ensure to hold the iPad parallel to the bottom of the foot. When finished, click Save at top right hand corner. It will launch the native Apple email client. All you need to do here is press send in the top right corner as the email address is automatically entered. Firefly will receive email with the file. Follow the above instructions for the other foot. All Firefly’s order forms are available on our order forms page. Our order forms can be filled in manually by downloading, printing and filling in with pen. Or they can be downloaded to your iPad and filled in digitally. The Adobe Acrobat or Adobe Reader applications are required to complete the forms digitally. Alternatively, you can also request us to send you hard copies of our order forms. The digital versions of the forms can be downloaded and saved to the Adobe Acrobat application on your iPad. Below you’ll find the steps to download the order forms to your iPad. Download the Adobe Acrobat app to your iPad by visiting the App Store. Tap the ‘copy to Adobe Acrobat’ option, this will launch Adobe Acrobat app. The form should now be saved to ‘my documents’ in the Adobe Acrobat application. You will now be able to access the downloaded form from ‘my documents’ in future. Open the Adobe Acrobat app by tapping on the Acrobat icon. Located you downloaded form in the ‘my documents’ section. Tap on the order form you you wish to fill in. and drop down boxes can be completed by tapping on them to reveal the drop down options, once revealed, select the option you wish to choose. Change the email subject to the patient’s name – this is important! You can now reset the order form by tapping the reset button in the top right hand corner of the form. You may occasionally need to calibrate the scanner. Click on the calibration icon and follow the on-screen instructions. On receiving your new Structure Sensor you’ll need to get it set up. Structure Sensor provide a good overview on how to get set up on their website here. Sharpe Shape, the company behind the AOMS TOT application have a number of tutorials to guide you through using the application for capturing patient foot data. If you have any questions about setting up your iPad and Structure Sensor to capture patient foot data please contact Firefly via email info@firefly.ie or by phone on 00353 71 91 49494.